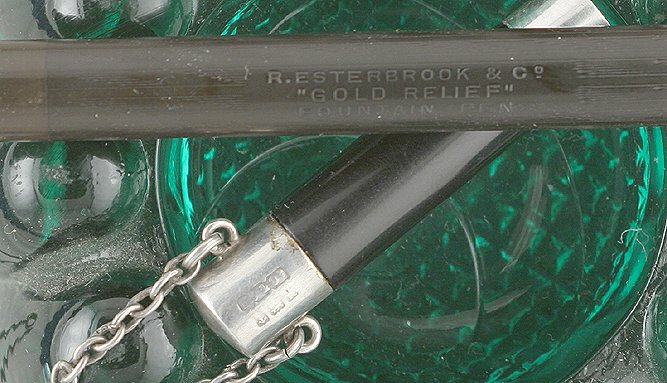 This is a Wirt made Relief 314 eyedropper with the original price band. This is identical to a Wirt model 47 eyedropper. Imprint on the 4C eyedropper. This is a De La Rue made eyedropper similar to an Onoto. Note the over feed on nib. Here's a close up of the imprint and chasing pattern on the De La Rue. Notice the imprint reads "'Gold Relief'".